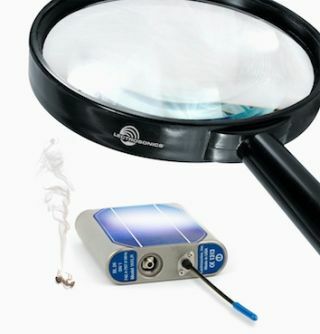 The What: Lectrosonics is introducing the world's first solar-powered wireless microphone transmitter, the WXLR. The new transmitter is based on the idea that today's solar cell technology is sufficiently advanced for use on portable electronic devices. The new WXLR was based initially on the previously introduced WM water-tight transmitter. The What Else: Lectrosonics engineers aimed to simplify the design even further and make the housing even more bullet proof by eliminating the battery compartments and associated doors altogether. While discussing solar power as a potential option, one engineer realized that solar insolation is almost exactly 1 kW per square meter or 0.65 Watts per square inch in full sunlight. Solar insolation is the available power from the sun that strikes the earth's surface after atmospheric losses. What really makes the concept workable is the 30 percent Federal Tax Credit for solar installations combined with the 10 percent State Tax Credits. The 10 percent tax credit is allowed by progressive states such as New Mexico and fortunately, New Mexico is where Lectrosonics is located. One More Thing: Sorry, Charlie T., this product is not for use or sale in Seattle.